It is widely known that Cusco is the center of the Incan world. But, Cusco has been greatly influenced by the Spanish conquistadors and their religious traditions. Even more, the Cusco of 2019 has also been exposed to modern living. All of these influences have been reflected in Cusco’s yearly festivals. Festivals in Cusco range from Incan winter solstice ceremonies to Easter processions to The Cusqueñan Beer Festival. The festivals´ calendar celebrates the past and the present, religious customs and pagan traditions and indigenous living. No matter what time of year you visit Cusco, you´ll surely encounter a fiesta! Although certainly the most popular, Cusco is not the only place in Peru to host some colourful and cultural festivals throughout the year. Peru has some other hugely popular festivals both for locals and for travellers. Some of the most well known would be Puno’s Fiesta de la Candelaria, Festival Internacional de la Vendimia held in Ica or Mistura food festival held in Lima. No matter what time of year you plan on travelling to Peru, there will always be a festival taking place. For a better chance of fitting a festival into your Peru itinerary, we suggest taking a bus to Cusco instead of flying direct. This is also the preferred option for travellers who are interested in a more cultural experience. We strongly recommend following Peru Hop‘s route along the south coast from Lima as many of the destinations on this route are among the most popular for festivals and cultural events. The following content discusses Cusco festivals specifically but if you want to know more about Peru in general take a look at our Only Peru Guide. This celebration takes place around the 20th January. 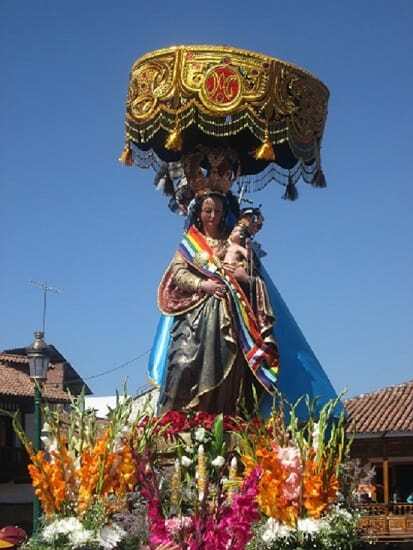 Decorative processions take place beginning in San Blas. The Iglesia San Blas marks the starting point of these elaborate processions. Fireworks and brass bands can accompany these parades through the streets of Cusco. 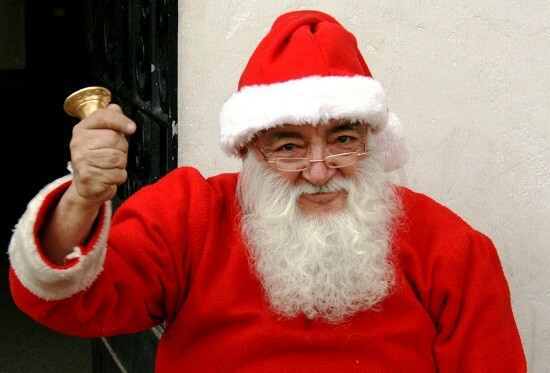 These celebrations are carried on from the Christmas period. This is one of the most celebrated weeks in South America, and is one of the special festivals in Cusco. Semana Santa (Holy Week) is the last week of Lent running up to Easter Sunday. You are sure to see and hear fireworks, brass bands and revelries from one end of the week to the other. The festivities begin on the Monday with probably the biggest procession of the week. This day is dedicated to El Senor de los Temblores (The Lord of the Earthquakes) to commemorate the Earthquake of 1650. Thousands of people, locals and tourists, ascend on Plaza de Armas to parade together through the streets. If you are in Cusco, religious or not, this is one not to be missed for the sheer buzz and great atmosphere. On Holy Thursday the statues of the saints are taken from the local churches and paraded joyfully around Cusco. This procession attracts thousands also but is not as packed as Monday´s procession. Good Friday marks the day of the Last Supper. Cusqueñans celebrate this day by dining on 12 traditional dishes. Local food stalls will sell these traditional dishes at the plazas. The Festival of the Cross falls on 2nd and 3rd of May. 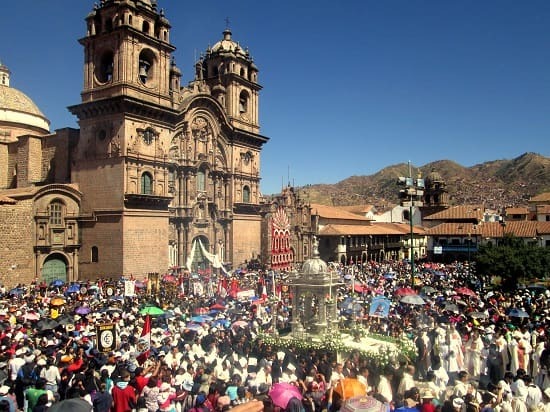 This is another one of the Catholic and Spanish influenced festivals in Cusco. Crosses and crucifixes in Catholic churches, cathedrals and sanctuaries throughout Cusco and the other provinces are veiled for the day. The usual festivities and partying takes place with traditional foods served. This festival is held on the full moon weekend before the Corpus Christi. The meaning of its name is the Snow or Ice Festival. The site of the festival lies at the foot of a glacier near Ausangate, a snow capped peak in the Andes. This is one of the more traditional Andean festivals in Cusco, celebrated with music, dancing and processions. 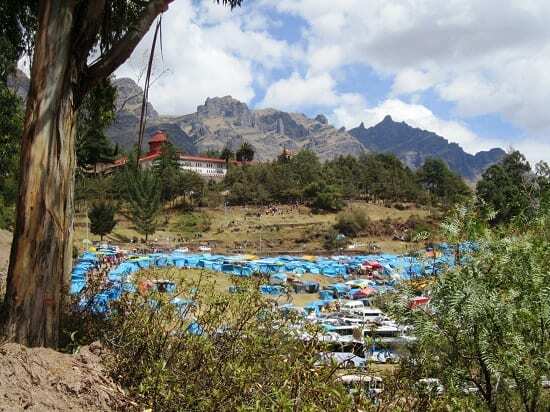 Thousands of Quechua villagers make the pilgrimage to the mountain to celebrate and ignite their spirituality in nature. Some tourists do join in the journey but it’s not for the faint hearted or the un-acclimatized as the foot of the glacier sits at a fresh 4600m above sea level. This Catholic festival always falls on the ninth Thursday after Easter. It falls close to the winter solstice in June. It was introduced by the Spanish to try to replace the Festival of Inti Raymi (one of the most celebrated Inca festivals in Cusco). Saints are taken from their respective churches and paraded around the streets of Cusco, carried by groups of chosen bearers, and takent to Cusco Cathedral. The main paradebegins at 11am when 10 Saints and five virgins are carried from the Cathedral, on pedestals, and paraded around Plaza de Armas in a set specific order. After the long procession the saints are brought to the Cathedral where they remain for seven days. They are taken back to their churches on the eighth followed by dancers, musicians and fireworks. Now you’re thinking, “That’s more like it! !” This beer and music festival takes place in the second week of June. Cusqueña beer is the locally brewed beer in Cusco. Keep your eyes and ears peeled for some of the biggest names in the Latino pop and jazz music world! Your new favourite reggaeton artist could be in town for the festival. This is one of very few non-religious festivals in Cusco. The week building up to the very popular festival of Inti Raymi (Festival of the Sun) takes place at the end of June. The streets of Cusco are filled with folk dancers and traditional music for the week. Inti Raymi falls on the 24th June and celebrates the winter solstice. Reenactments of the old Incan traditions of sun worship and folklore performances take place on the ancient ruins of Sacsayhuaman. Tens of thousands of visitors travel to witness and be part of one the biggest festivals in Cusco and Peru. This festival is celebrated all over the highlands with dance and music from 15th to 17th July. Peruvian Independence day falls on July 28th and is a national holiday. Peru received its independence from Spain in 1821. Celebrations and festivities can be joined throughout the country in the form of parades, parties and other entertainments like cockfighting, bullfighting and horse exhibitions with Cusco throwing one of the best parties in the country! August 1st marks Dia de la Pachamama (Mother Earth Day). This is one of the more indigenous festivals in Cusco. Locals pay homage to mother earth with traditional offerings of food, drinks and other personal precious items. This in known as pago a la tierra (payment to the earth). Yellow confetti is sprinkled outside homes and businesses to mark the beginning of the Andean New Year. This is a traditional Inca Festival that falls near the end of August, sometimes September. In ancient Inca times the festival was traditionally an initiation ceremony for young males. These young men took part in many tests during the ritual to earn their very first wara (breechcloth). On earning your wara you became eligible for battle and marriage. 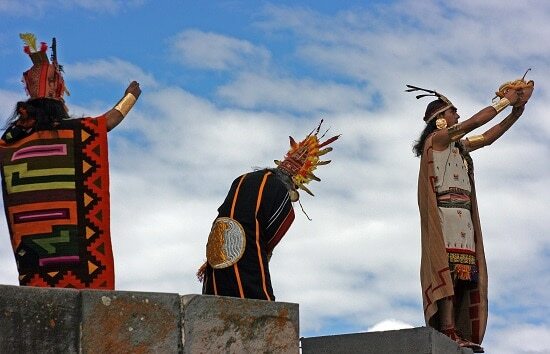 Nowadays in Cusco there are reenactments of these customary ceremonies. This festival is celebrated on September 8th. Devotees to the Virgin carry her statue through the streets followed by traditional dancers and musicians. The procession is followed by an evening of eating, drinking and partying like most festivals in Cusco. The nearby rural town of Chinchero throws an extra impressive party. The main celebration takes place on September 14th, but festivities can last a full week for this festival. Thousands of Peruvians and followers from other South American countries make their way to Cusco to make the five to six hour pilgrimage to the Sanctuary of the Senor do Huanca. On arrival at the sanctuary blessings, masses and other traditional rituals take place. Generally speaking the whole month of October is a time dedicated to showing off how great Cusco and its surrounding region is. Many different events are scheduled to display Cusco´s best offerings and celebrate everything Cusqueñan. November 1st and 2nd commemorate the saints and the dead. These days are celebrated through all of Peru. In Cusco you will see Cusqueñans offering masses and candle-lit vigils in cemeteries to their deceased loved ones. Traditional breads cooked in the shape of dolls, known as tanta wawa, are prepared and brought to the ceremonies in the cemeteries. Families will then eat a traditional meal of lechón (roast pork). This feast falls on the 8th of December marking the day Mary became pregnant. This is a national holiday with parades around the streets of Cusco honouring the Virgin Mary. Christmas in Cusco is a wonderful time. Christmas Eve being the liveliest day with parties and festivities continuing late into the night. Santikuraray (The Selling of the Saints) takes place on the 24th December, a traditional market is held in Plaza de Armas. The square becomes a pedestrian only area bustling with stalls selling all types of handcrafted arts and nativity based wares. Traders also sell materials for locals to make their own nativity scenes in their homes. Christmas day is a more somber and quiet day usually spent at home with family. Celebrations continue up until the arrival of the Three Wise Men (Adoración de los Reyes) on January 6th. Hotel prices and flight prices can increase drastically during festival periods in Cusco so be sure to plan and book trips in advance of these times. For the Complete Cusco Guide on what to do, where to eat, and much more click on the button below!